Marine industry stalwart Andrew Varga has received formal recognition for his valuable contribution to the Victorian boating community, having been included in the Queen’s Birthday Honours List 2007. Mr Varga was awarded the Emergency Service Medal in this year’s honours, which were announced by the Governor-General in June. The award is a well-deserved tribute to Mr Varga’s outstanding service as a member of the Australian Volunteer Coast Guard Association (AVCGA). Special mention was made of his work in search and rescue activities and training. Despite having served the AVCGA with the St Kilda flotilla since 1982, co-ordinating countless serious and sometimes life threatening rescues, Mr Varga modestly claimed the award “came as a bit of a surprise”. It was no surprise, however, to his fellow members at St Kilda and other groups he has worked with during his 26 years of service, all of whom hold Mr Varga and his many achievements in high regard. 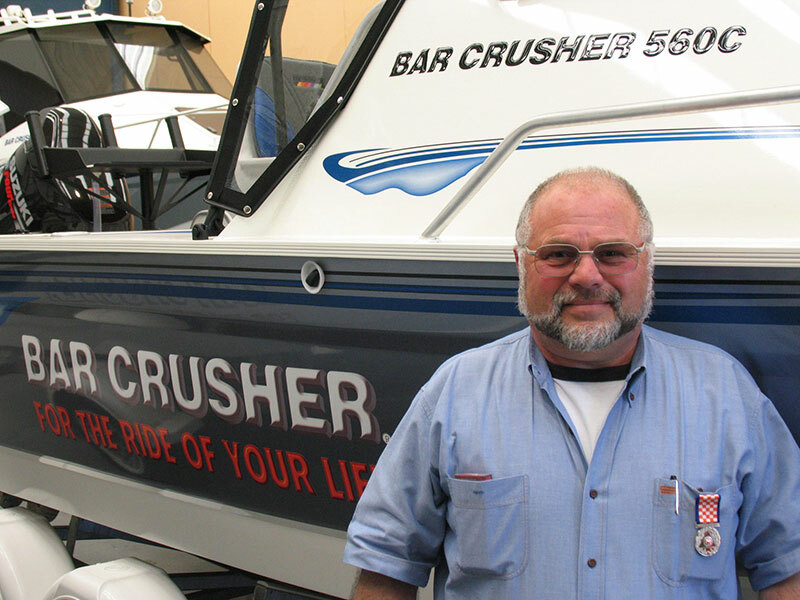 Known nationally through various roles in the marine industry over many years, Mr Varga has been Bar Crusher Boats’ sales manager for the past two-and-a-half years.